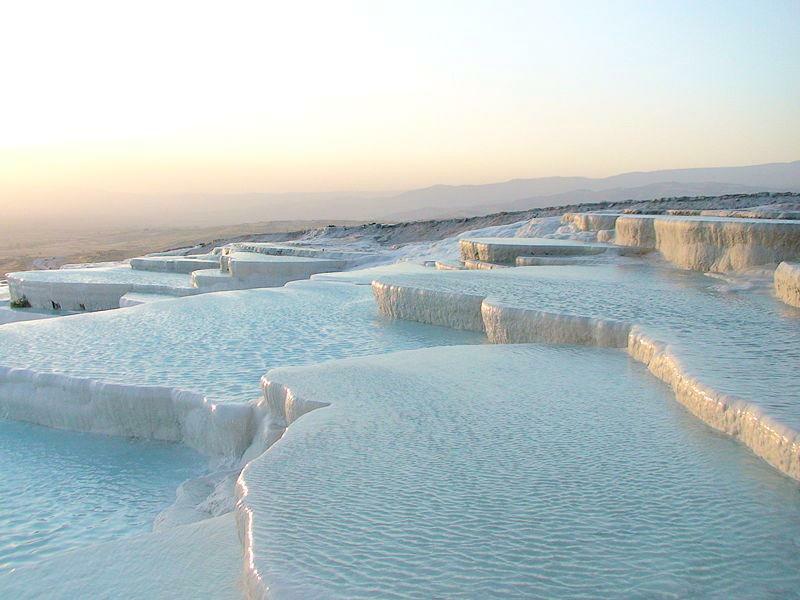 Alanya Pamukkale 2 days tour is a cultural tour with 1-night accommodation in Pamukkale. 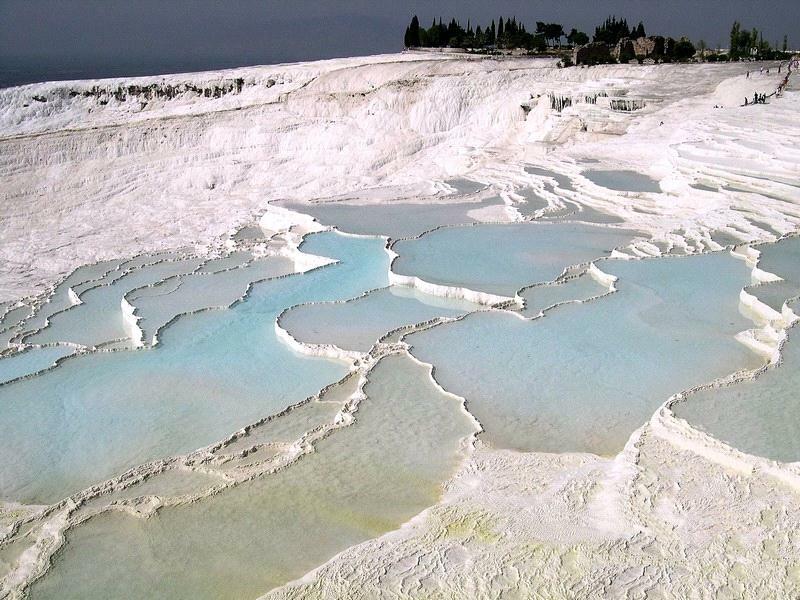 Pamukkale is a district of Denizli Province and it is about 350 km away from Alanya. 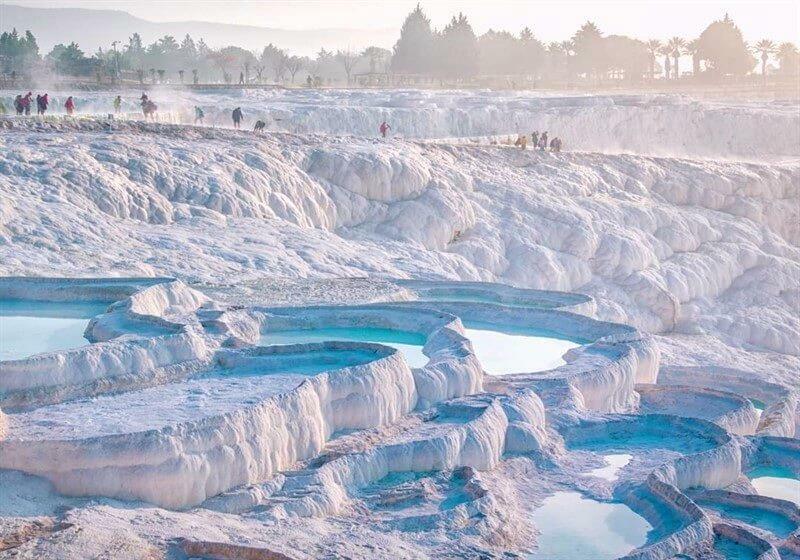 Pamukkale & Hierapolis which means 'cotton castle' in Turkish is considered one of the oldest thermal cities in the world. 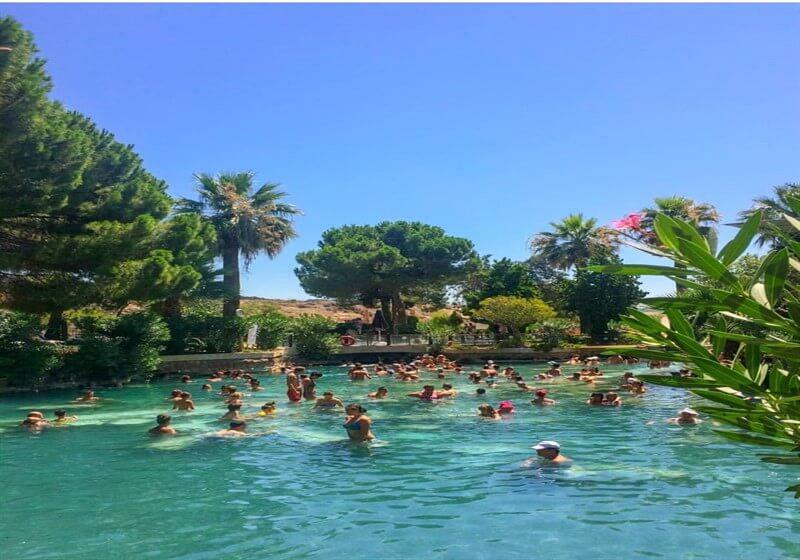 The thermal waters of this UNESCO World Heritage site have been always attracted its visitors with its beauty and health purposes for centuries. 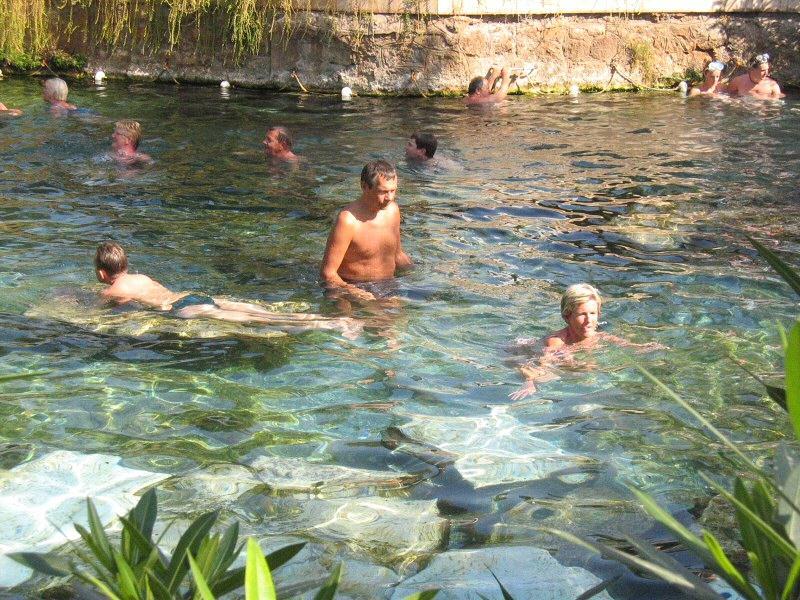 The waters in the area having some legend about are around 30-degree Celsius and cure some sickness. 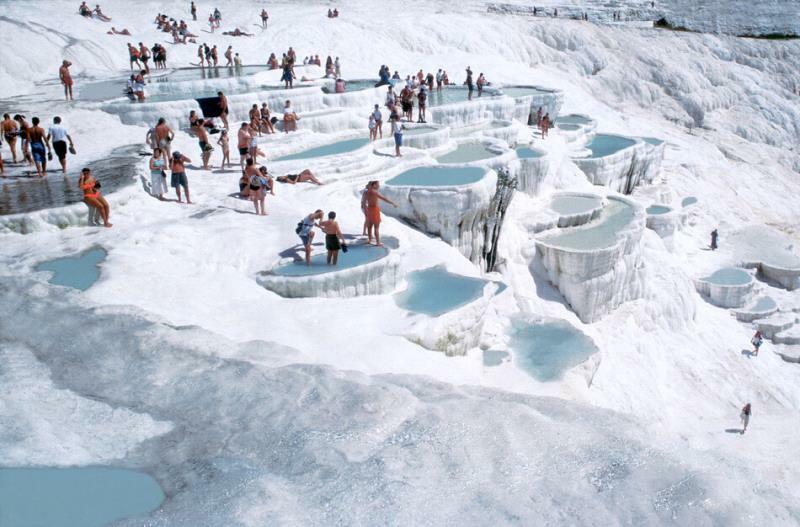 In Pamukkale, you will see Turkey's world-famous tourism trademark and the natural beauty, the White Travertines. 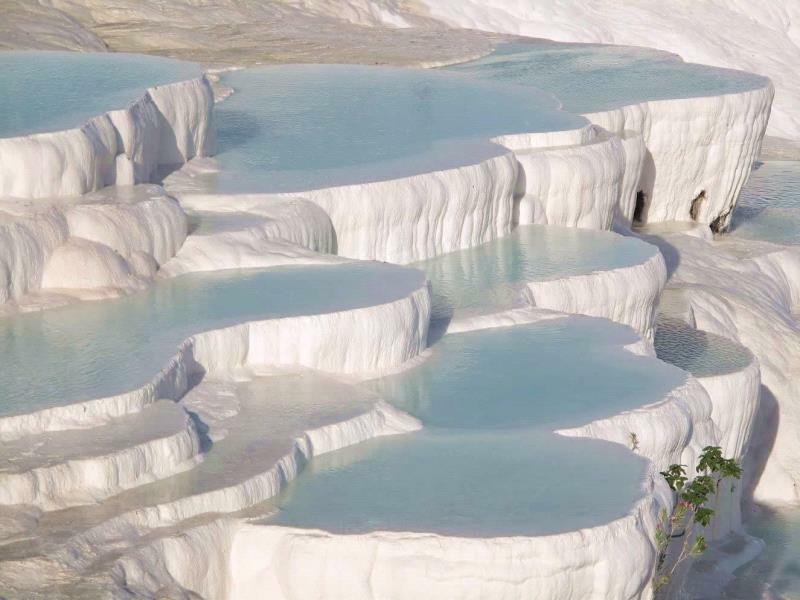 Pamukkale travertine is a type of limestone deposited at the mouth of the spring. 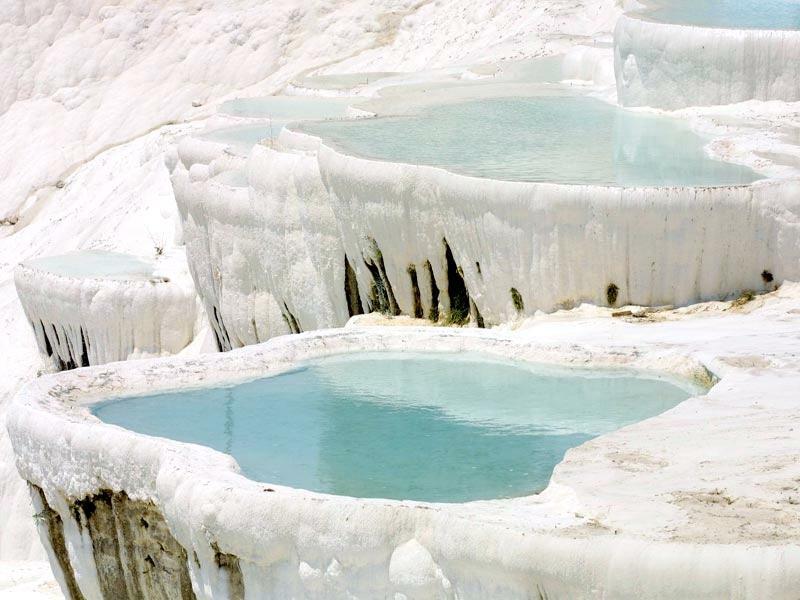 Thermal sources on an important fault line of western Anatolia in Pamukkale are warmed up by subterranean heat and come out at 33-36 C.The water contains calcium hydro carbonate. 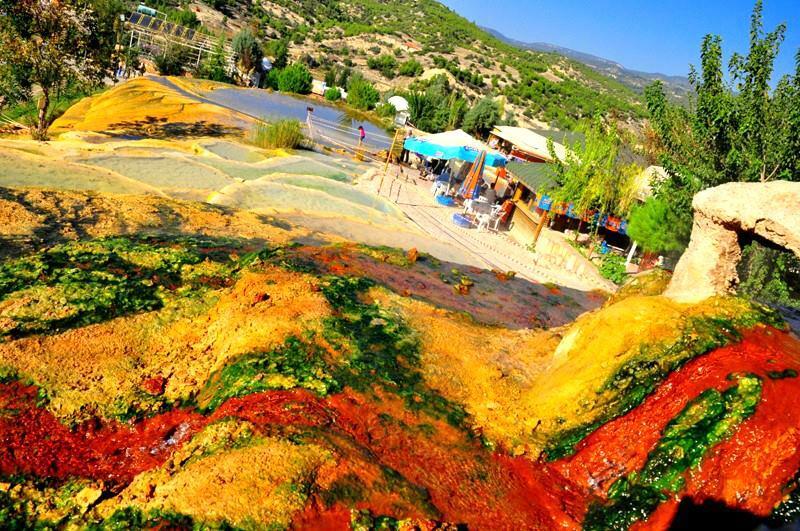 Tectonic movements triggered frequent earthquakes in this area and gave rise to the emergence of a number of very hot springs. 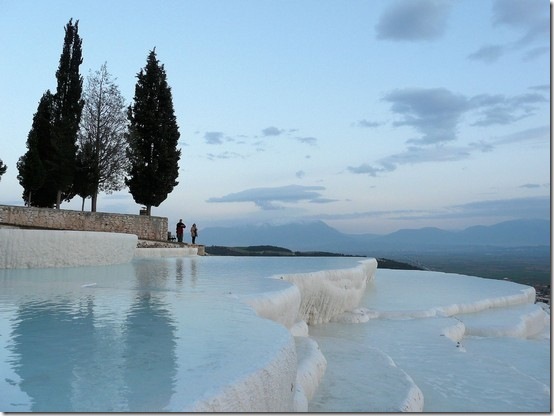 The water from these springs created Pamukkale with its large mineral content. 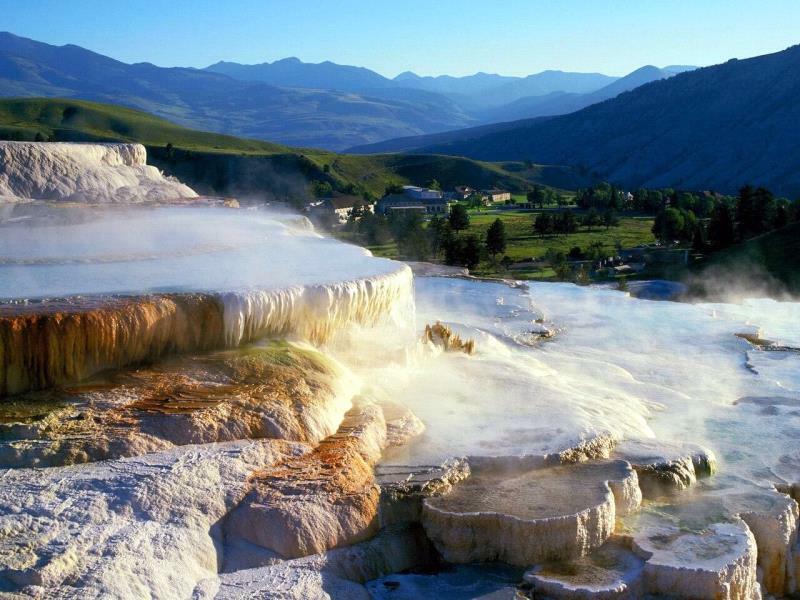 When the hot water is in touch with carbon dioxide, it starts to lose its warmth and also the carbon dioxide and carbon monoxide are released into the air. 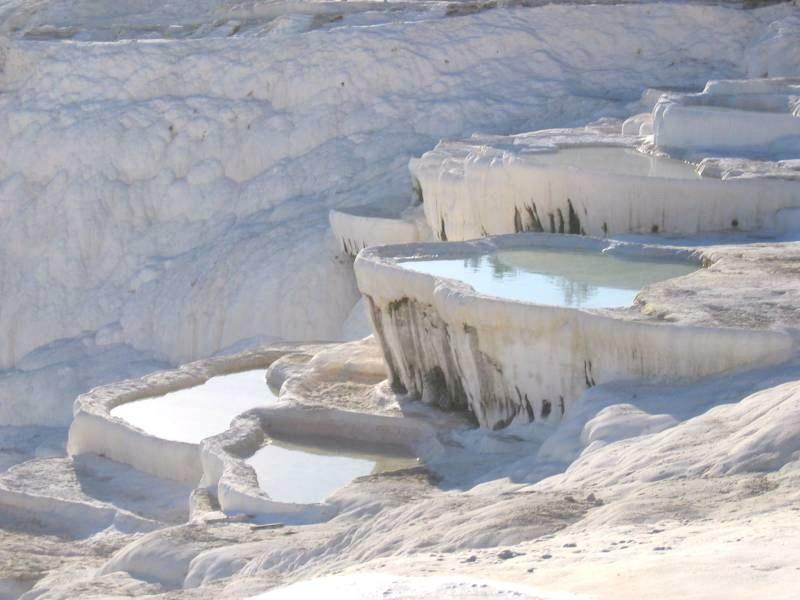 As a result, the calcium carbonate is precipitated. 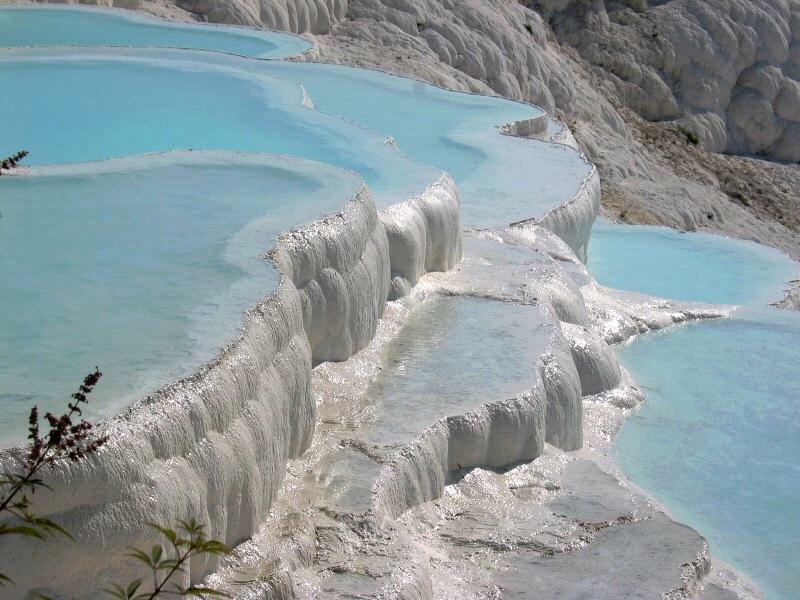 So the water forms magnificent viewed travertine. 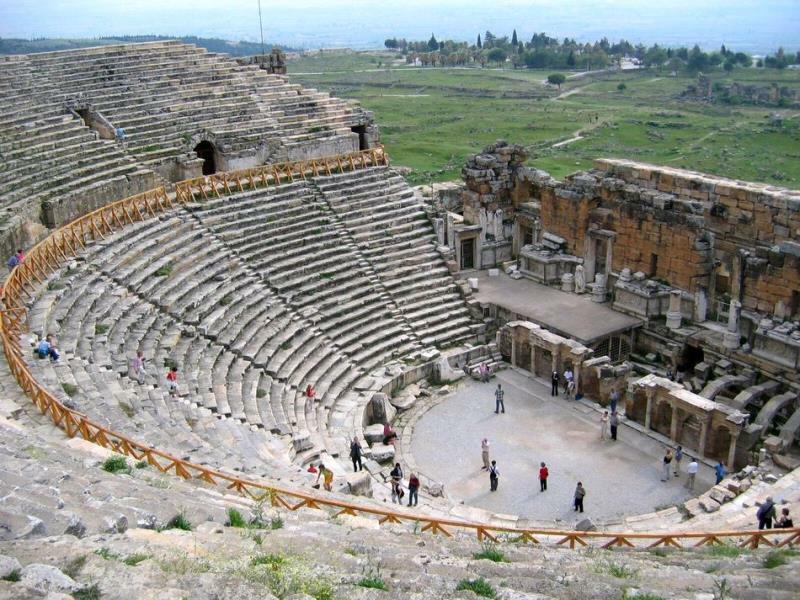 You'll also see a number of other famous sites and thermal pools around the Pamukkale area, including well-preserved ruins of the Greek-Roman city of Hierapolis, Necropolis, Cleopatra Pool, and Red Water. 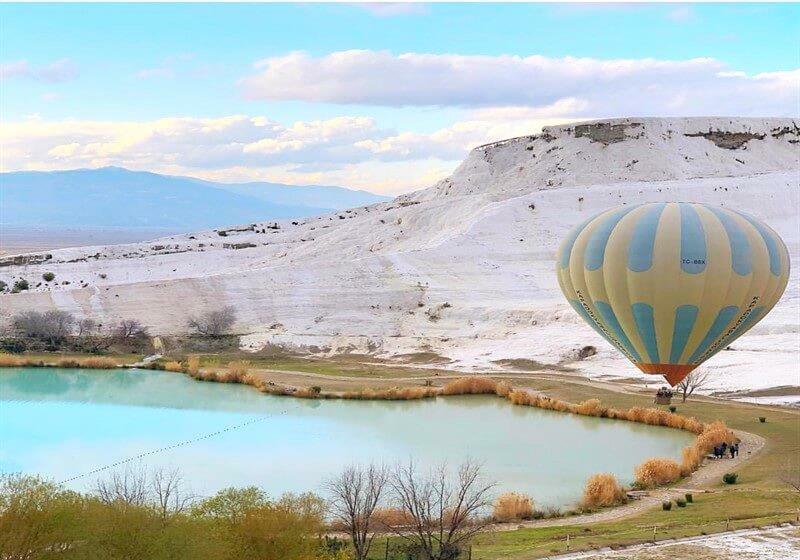 You will have free time to relax and enjoy the surroundings, spending the night in a hotel close to Pamukkale travertines. 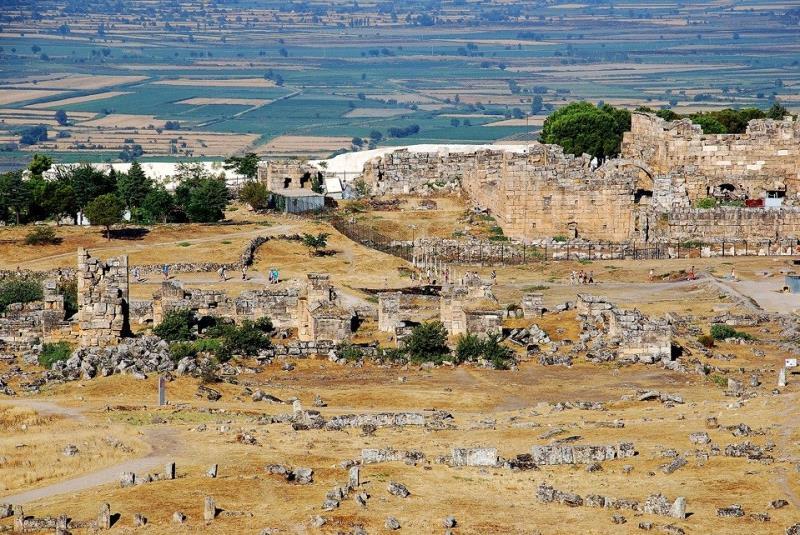 You will also visit a hand-woven carpet and rug production center and learn about traditional Turkish hand-weaving art. 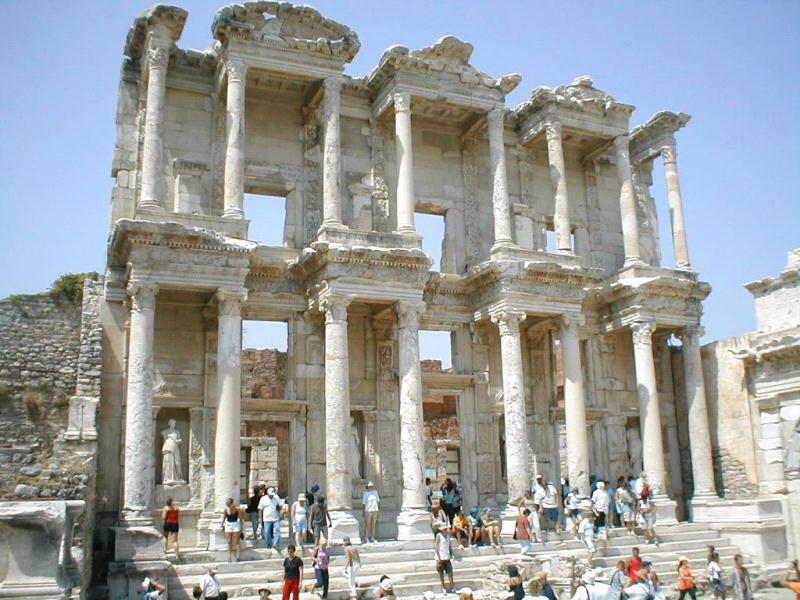 *Drinks at the hotel and with meals. 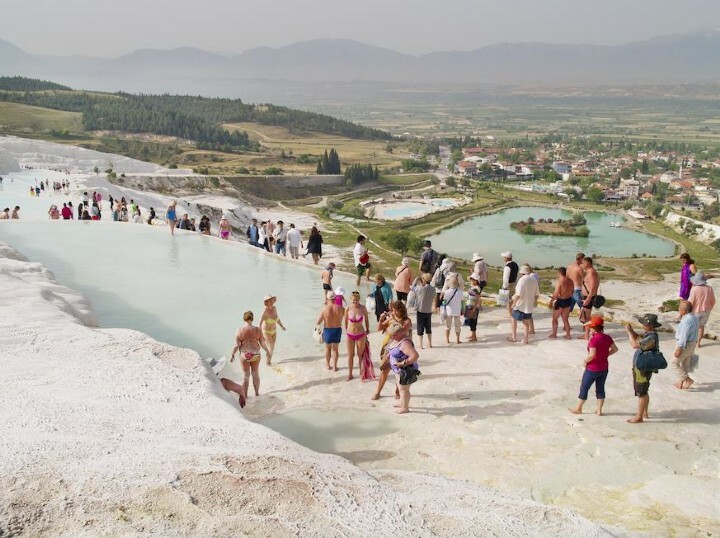 *When you compare Pamukkale tour prices, please notice that what is included or not included in the price. 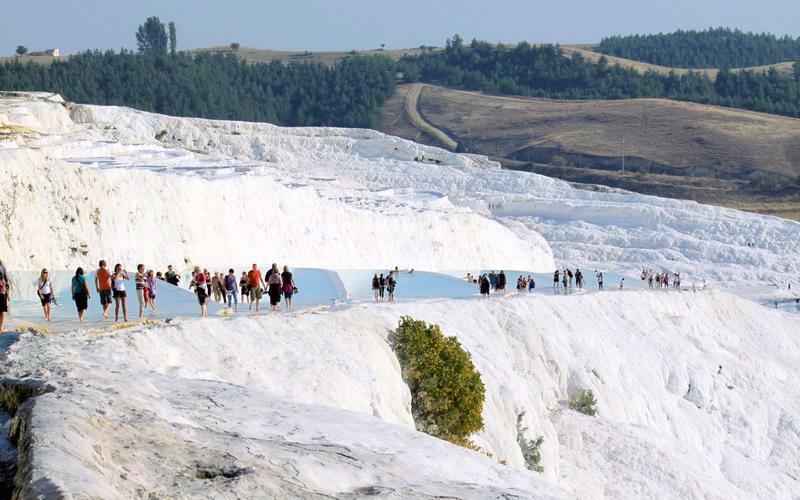 Our price includes Pamukkale terraces entrance, you just pay extra for lunches and drinks. 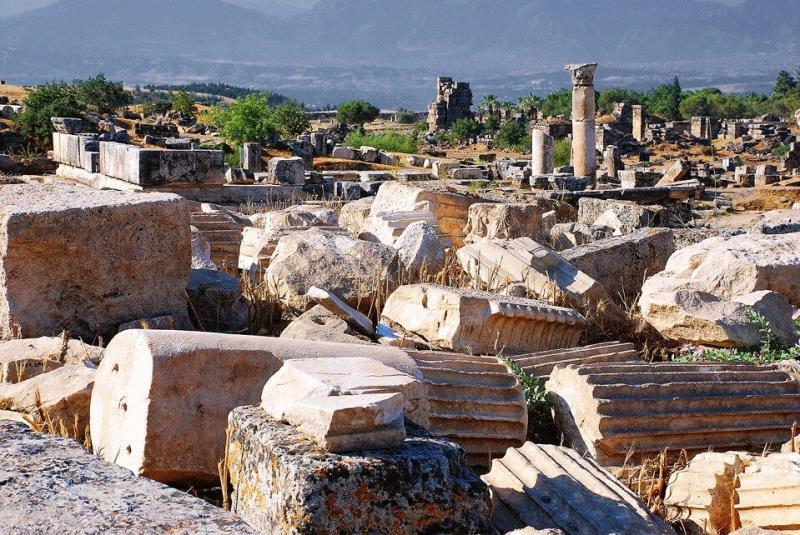 So you will not be surprised for paying anything else with us.